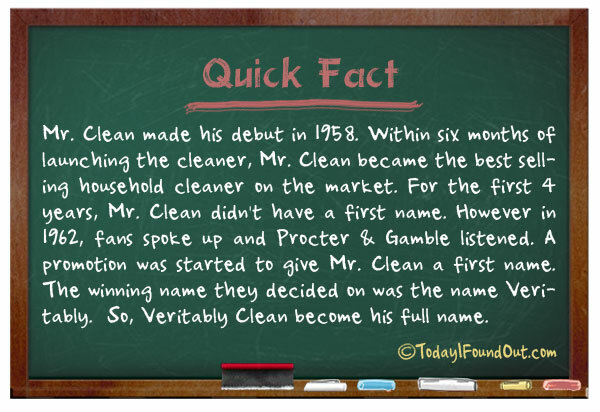 Mr. Clean made his debut in 1958. Within six months of launching the cleaner, Mr. Clean became the best selling household cleaner on the market. For the first 4 years, Mr. Clean didn’t have a first name. However in 1962, fans spoke up and Procter & Gamble listened. A promotion was started to give Mr. Clean a first name. The winning name they decided on was the name Veritably. So, Veritably Clean become his full name.